All of us have attended religious ceremonies and felt out of place because of the jewellery that we wore? ‘Is this ring too loud?’ or ‘Is the necklace sparkling too much?’ we have similar questions and many more spanning through our mind as we meet and greet people during religious gatherings. To avoid the above dilemma; we prefer not to wear any jewellery to religious events. We feel that avoiding jewellery is the solution. But is it really the best solution? Why not change the type of jewellery that your wear rather than eliminating jewellery all together from your attire. We suggest you add a religious twist to your jewellery and Religous jewellery will be suitable to for all including men women and kids. In this way, you can wear jewellery even to religious events and not feel guilty about it. For example, get your favorite God engraved on the jewellery that you wear and you have a beautiful piece of jewellery that is not just an accessory but much more than that. If you are a strong believer then this option would not just mean owning jewellery but could also take your spiritual connection to the next level. Wearing the religious jewellery in itself would make you feel that you are close to your Almighty. And there is no better accessory to be personalised religiously than a pendant. Sitting at the centre of your chest, a pendant is always close to your heart. Imagine the feeling of having your favourite God close to your heart, always. Yes, we know. It is out of the world and we are sure you will love to have more of this feeling. 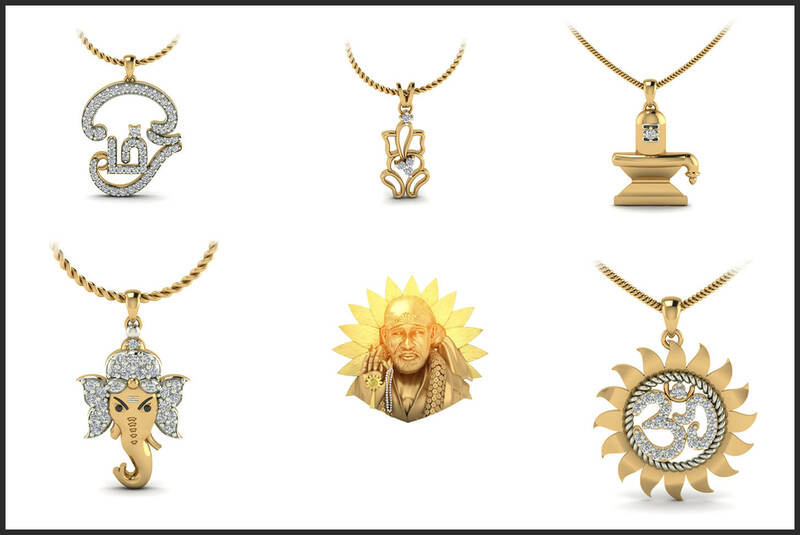 So here is a list of few religious pendant designs that will definitely touch your heart. A must have for any devotee, this Ganesh locket pendant design has a beautifully crafted Ganesha image made from gold. The 5 diamonds blend perfectly with the gold and they couldn’t have been placed more aptly. 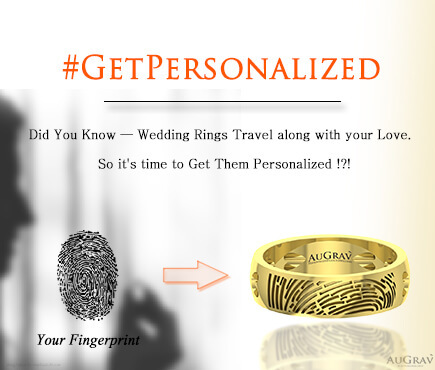 You can also add your name to the pendant making it even more special. If Tamil language is close to your heart then you will love this design. 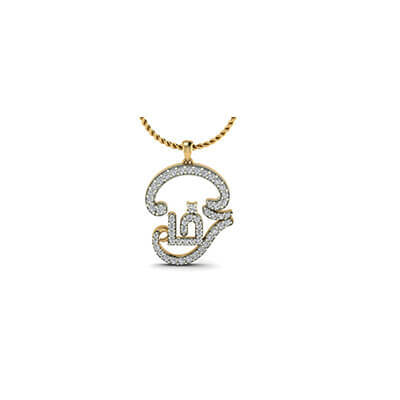 A visual delight, the pendant has an artistically crafted Tamil translation of Ohm. With diamonds studded on top of yellow gold, this pendant/necklace is a perfect way to keep this precious word – Ohm – always close to your heart. Creativity at its best! Just imagine, you are walking on a dark path and Ohm glows from the centre of your chest. Wonderful, isn’t it? This gold om pendant design lets you have this feeling for real. And to add to that, you can even get the Ohm crafted in the colour of your choice. Lord Ganesha (also known as Vinayagar) is one of the most beloved Hindu deities and this design beautifully captures Him in gold. The design even features white colour stone embellishments that add to the look and feel of the pendant. Buy this design today and get further closer to Lord Ganesh. Millions of people, irrespective of their religion and caste, follow the teachings of Shirdi Sai baba. 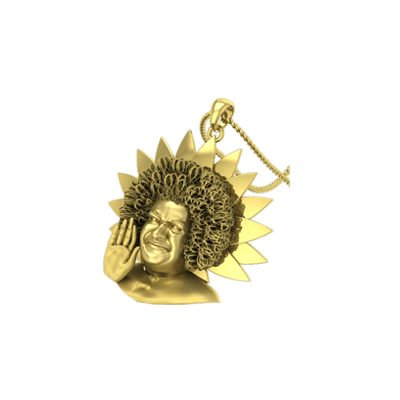 This sathya sai baba pendant features a gold 3D model of that great soul with His right hand raised up in blessings. 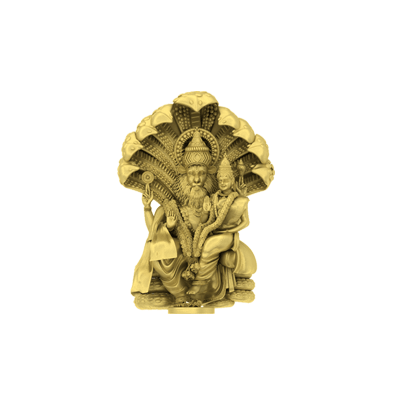 Walk in the righteous and enlightening footsteps of Saibaba with this elegant gold 3D pendant. Considered sacred by millions of Hindu devotees all over the world, the Shiva Linga is a symbol for Lord Shiva. This charming Lord Shiva pendant in Lingam shape is made of gold. It also contains an eye-catching diamond at the centre which adds further to its worth. You can even have your name engraved at the base of the Linga. Beautiful and divine! 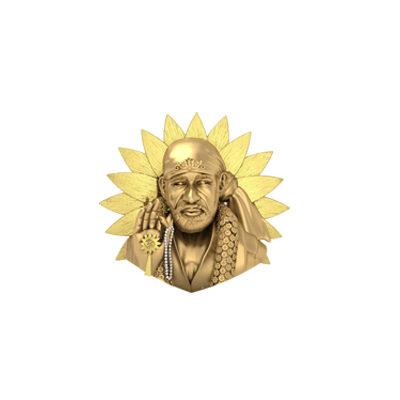 With a calming and alluring model of Saibaba in the traditional blessing pose, this sai baba gold pendant design is one in a million. 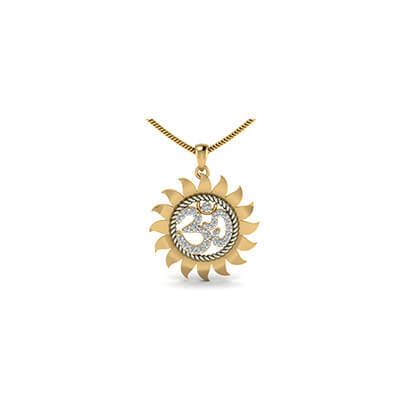 A perfect beacon of your belief, this pendant has a warm glow and also a serene look to it. Lord Vishnu took the avatar of Narasimha to kill the demon-king ‘Hiranyakashipu’. With a human-like body and a face of lion, Narasimha is one of Hinduism’s most popular deities. This Hindu religious gold pendant has an elegantly crafted model of Narasimha with the 9-headed snake behind him and Goddess Laxmi sitting in His left lap. From yoga to religious ceremonies, Om is a spiritual symbol used worldwide. It is believed to represent everything and to be the source of everything. This Ohm pendant captures the essence of this symbol perfectly with a golden chakra around it. Sparkling diamonds studded into the symbol further add to the beauty and divinity of this pendant. This ohm locket is suitable for all gender(men and women) and age group. Religious Pendant Designs That Will Make You Stand Out At Every Occasion Overall rating: 4.7 out of 5 based on 235 reviews.